The author of the blockbuster fantasy series that began with An Ember in the Ashes (Penguin) will be SLJTeen Live!’s lunch speaker. A Reaper at the Gates, the third installment of the New York Times bestselling “Ember Quartet,” recently published and continues to tell the tale of young people rising up against a brutal world based on the Roman empire. “Tahir’s world-building is wonderfully detailed and the setting is an unusual one for fantasy novels. All of her characters, even minor ones, are fully realized....For fans of Game of Thrones and of Melina Marchetta’s Finnikin of the Rock,” said SLJ’s review of the series opener. 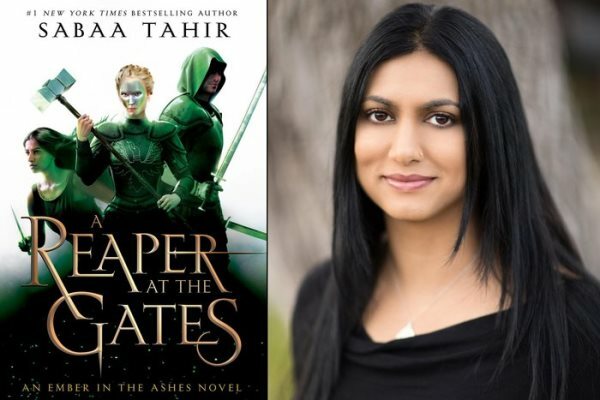 In anticipation for the free, daylong event featuring high-profile and up-and-coming YA authors, here’s our interview with Tahir. What inspired you to write your latest work? The news stories I read always inspire my books, and A Reaper at the Gates was no exception. I was inspired especially by the refugee crisis in Europe, the Syrian civil war, and by the immigration crisis here at home, particularly the issues of belonging and identity brought up after DACA came under threat. How does your book relate to the theme of this year’s SLJTeen Live! event: “Speaking Truth to Power”? The “Ember Quartet” is about three characters: Laia, a girl who starts the series fighting for her family, but who is now fighting for the future of her people; Elias a soldier fighting for his freedom from an oppressive Empire—but finding that doing so is more difficult than he could have ever imagined; and Helene, another soldier who fights for the Empire without always considering the cost of her actions. All three regularly confront the complex issues around power: how it is used against them, how they can battle those who have it, but perhaps most importantly, what to do when they discover their own power. What do you wish you could tell your 15-year-old self? This is harsh, but I wouldn’t tell her anything. She needed to go through what she went through to become a stronger person. What advice would you give librarians working with teens? Please listen to them, even when they’re not speaking to you directly. As a teenager, I had a librarian who I exchanged about two words with all school year—and yet she paid enough attention to me to always have the perfect book on hand when I was hiding out in her library at lunch time. I will never forget what a gift that was. Please offer your students that gift.